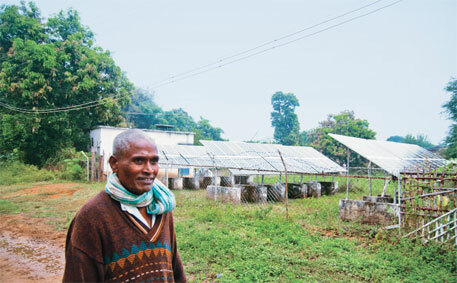 Implementation of micro-grid projects based on renewable energy is about to be revamped in India. Despite the Centre promoting these projects for over a decade by offering 90 per cent of subsidy on capital investment, the programme has not scaled up at the commercial level. To boost the sector, the World Bank plans to try out a new mechanism in collaboration with the Ministry of New and Renewable Energy (MNRE). Called viability gap funding (VGF), the mechanism will remunerate developers based on the units of electricity they generate. The funding will help bridge the gap between the cost of electricity generation and payment made by consumers at a subsidised tariff. The World Bank and MNRE will route funds for the programme through a commercial bank, which will be responsible for its disbursement. To begin with, projectsÃ”Ã‡Ãªwill be implemented on an experimental basis in Bihar and Uttar Pradesh, where 35 million households depend on kerosene lamps for lighting. The Bank will fund US $14 million for the programme. “The amount of funds available for this project from MNRE is yet to be finalised,” says Tarun Kapoor, joint secretary, MNRE. J Mukherjee, managing director of G P Green Energy Systems Private Limited, a biomass gasifier manufacturer in Kolkata, says the proposed financing mechanism by the World Bank seems attractive for private players. “We have been manufacturing biomass gasifiers for the past 25 years, but never set up micro-grid projects. MNRE’s financing mechanism is not encouraging for a private developer, seeking profits.” It seems uneconomical to provide the expensive after-sales service which one is obliged to do in case they develop projects under the ministry’s programme, says Mukherjee who plans to take part in the bidding process for projects once the programme is finalised. “The VGF mechanism will promote private sector on a larger scale in decentralised model of rural electrification, using renewable energy,” says Arun Nagpal, chief executive officer at Minda NexGenTech Ltd, a micro-grid developer in Delhi. This will help people in villages get electricity at a competitive rate, which can be comparable with their spending on kerosene, he adds. However, Mukherjee says, to achieve commercial viability, micro-grid projects should not be subsidy-driven in the long run. Nikhil Jaisinghani, founder of Mera Gao Power, a micro-grid developer in Uttar Pradesh, agrees. “The World Bank, by considering the VGF route, is assuming that the decentralised projects are not yet commercially viable. This is not true. We only need lenders to come forward to finance these projects,” he says. Jaisinghani operates his projects without any subsidy. The programme will electrify clusters of villages, instead of individual villages as done by MNRE. Says Ashish Khanna, energy specialist with the World Bank, “By taking up cluster mode of electrification, developers can enjoy the benefits of economies of scale and help bring down the costs of generating electricity at decentralised levels.” Developers will work on a build, own, operate and maintain model under the programme, he adds. The role of government will be limited to being a facilitator rather than the primary implementor. Other than villages without the grid connection, the programme will allow developers to implement VGF projects in villages with poor electricity supply. However, the micro-grids may not buy or sell electricity to the grid. “This will only complicate the model,” says Khanna. “Given the small size of the micro-grid, integration with the grid will increase the cost substantially. Grid interactive systems could, however, be considered in later stages,” says Praveen Bhasin, head of Power Generation Vertical, Minda NexGenTech Ltd. Tarun Kapoor suggests that “bulk power could be bought or sold to the grid whenever there is shortage in supply in the micro-grid or a surplus”. Swraj Khare, director, Apni Beejlee Energy Private Limited, a rural solar services provider, too agrees to the proposition of grid integration. The MNRE Budget being reduced is a shocking feature of the Budget - when it should actually have been at least doubled - if we do not want to keep on paying astonishing amount of some 60 times this budget allocation in subsidies for Diesel, LPG, Kerosene etc.